Founded in 1998, Hadley Capital is a private equity firmPrivate Equity FundsPrivate equity funds are pools of capital to be invested in companies that represent an opportunity for a high rate of return. They come with a fixed investment horizon, typically ranging from 4 to 7 years, at which point the PE firm hopes to profitably exit the investment. headquartered in Wilmette, Illinois. It specializes in management buyoutsManagement Buyout (MBO)A management buyout (MBO) is a corporate finance transaction where the management team of an operating company acquires the business by borrowing money to buy out the current owner(s). This transaction is a type of leveraged buyout (LBO) and can sometimes be referred to as a leveraged management buyout (LMBO)., recapitalizationsRecapitalizationRecapitalization is a type of a corporate restructuring that aims to change a company’s capital structure. Usually, companies perform recapitalization to make the capital structure more stable by exchanging one type of financing for another. One example is when a company issues debt to buy back equity shares., generational transitions, acquisitionsMergers Acquisitions M&A ProcessThis guide takes you through all the steps in the M&A process. Learn how mergers and acquisitions and deals are completed. In this guide, we'll outline the acquisition process from start to finish, the various types of acquirers (strategic vs. financial buys), the importance of synergies, and transaction costs, add-on acquisitions, growth equity, and leveraged buyoutsLeveraged Buyout (LBO)A leveraged buyout (LBO) is a transaction where a business is acquired using debt as the main source of consideration. An LBO transaction typically occur when a private equity (PE) firm borrows as much as they can from a variety of lenders (up to 70-80% of the purchase price) to achieve an internal rate return IRR >20%. Hadley Capital invests mainly in manufacturing, industrial product manufacturers, value-added distributors, niche products, and distribution services. It makes equity investments ranging from $5 million to $15 million in portfolio companies with revenues between $5 million and $30 million and cash flows of between $1 million and $3 million. Hadley Capital prefers to own a majority stake and an active board seat in the companies it invests in. Scott Dickes is the founder and general partner of Hadley Capital. He holds a BA from Duke University and an MBA from Kellogg School of Management at Northwestern University. Before establishing the company, Scott spent his vacations visiting small businesses alongside his dad who was a small company investor. He started Hadley Capital with the goal of bringing professional investment into small companies. Scott spent the last two decades investing in and growing small companies by taking an active role in the board of directors. He served as the chairman of the board of Kelatron, Packaging Industries, and JRI Industries, all former portfolio companies of Hadley Capital. He presently works with Brushy Mountain Bee Farm, Custom Label, Harris Seeds, W.C. Rouse, and Gillinder Glass. Clay is a general partner at Hadley Capital. He holds a degree in English from Gettysburg College and an MBA from the University of Chicago. Clay worked with Scott Dickes, the founder of Hadley Capital, to raise Hadley Capital Fund I in 2004. He started investing in small businesses in the late 1990’s when he made his first investment in a small company. Since then, Clay’s worked with dozens of small businesses to help them grow their revenue base. He previously worked as chairman of the board of directors for SGA Production and Bluff Manufacturing, both Hadley Capital portfolio companies. He currently works with Storflex, a company acquired by Hadley Capital in 2012. Paul Wormley joined Hadley Capital in 2005, and he works as a general partner. He is a graduate of the University of Colorado, and he holds an MBA from the Kellogg School of Management at Northwestern University. He was brought up in a family business environment, and he runs his family’s community newspaper business. Paul served as Chairman of the board of I-Deal optics, a former Hadley Capital company. He works with GT Golf Supplies, Open Sky Media, Centare, and Pneu-Con. George Malone joined Hadley Capital in 2014 as Vice President, a post that he still holds as of 2018. He graduated with Honors from the Owen Graduate School at Vanderbilt, and he also holds a Bachelor of Science (Accounting) degree from Birmingham Southern College. Apart from overseeing the boards of Hadley Capital’s portfolio companies, George also leads the deal-sourcing efforts and manages the partner’s communications. 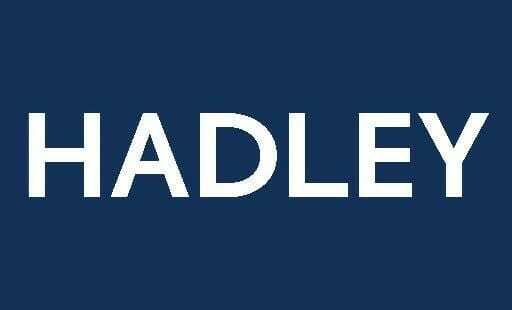 Before joining Hadley Capital, George worked with Faulkner Mackie & Cochran P.C., a company that serves small family businesses, as well as large publicly-traded companies. Hardley Capital’s leadership also includes operating partners with several decades of experience working at the senior management level of major US companies. At present, the company’s operating partners are Tim Purdie, Michael Mayberry, and Robert Wilkins. Brushy Mountain Bee Farm specializes in the manufacture, design, and sale of high-quality bee-keeping equipment and supplies. The business started out as a two-person enterprise by Steve and Sandy Forrest and later grew into a bigger business employing approximately 100 people. Brushy Mountain Bee Farm is a trusted source of beekeeping wares, equipment, candle and soap making equipment, as well as mead supplies. The company manufactures its products in its headquarters in North Carolina. Brushy Mountain Bee Farm manages additional locations in Oregon and Pennsylvania. Hadley Capital came in when the company’s founders, Steve and Sandy, were planning to retire. Shane Gebauer, who was working as the company’s general manager, wanted to buy the business and needed a partner to help him finance the purchase. Hadley Capital provided the needed capital to purchase the business, and the partnership helped the firm expand to the West Coast by acquiring Ruhl Bee Supply. Hadley Capital also provided financing to purchase equipment to help the company scale up its production. Gillinder Glass is a sixth-generation custom glass manufacturer that was established in 1861. It is based in Port Jervis, New York. The company specializes in manufacturing custom molded glass, hand pressed glass, lenses, domes, and optical prism processing and engineering. The products are used by global companies in industrial, military, airfield, and aircraft applications. Gillinder Glass and Hadley Capital’s partnership is aimed at providing the required capital to help the former grow and expand into new markets, both in the US and abroad. Under the partnership, Charlier Gillinder would continue as the company’s president while Hadley Capital’s partners would serve on the company’s board of directors. GT Golf Supplies sources and sells golf accessories such as tees and grips to golf courses, golf course management companies, and retailers. Some of its most popular clients include Worldwide Golf, Pebble Beach Resorts, PGA Tour Superstores, and ClubCorp. The company is best known for its short lead times, competitive pricing, and a broad range of products. Hadley Capital partnered with GT Golf Supplies founder, Craig Pollard, to provide a long-term growth strategy. GT Golf supplies is actively looking to acquire distributors of golf accessory products that are in line with the company’s business area. Hadley Capital’s other portfolio companies include Bluff Manufacturing, Centare, Cambridge Major Laboratories, Custom Label, Harris Seeds, International Speciality Supply, I-Deal Optics, JRI Industries, Kelatron, Open Sky Media, Pneu-Con, and Packaging Specialists. Top 10 Private Equity FirmsTop 10 Private Equity FirmsWho are the top 10 private equity firms in the world? Our list of the top ten largest PE firms, sorted by total capital raised. Common strategies within P.E. include leveraged buyouts (LBO), venture capital, growth capital, distressed investments and mezzanine capital. Career Guide to Private Equity JobsCareer Guide to Private Equity JobsThis career guide to private equity jobs provides all the information you need to know - positions, salary, titles, skills, progression, and much more. Private equity firms are investment management companies that acquire private businesses by pooling capital provided from high net worth individuals (HNWI) and institutional investors. CFI Financial Analyst CertificationFMVA™ CertificationThe Financial Modeling & Valueation Analyst (FMVA)™ accreditation is a global standard for financial analysts that covers finance, accounting, financial modeling, valuation, budgeting, forecasting, presentations, and strategy.